MTHWAKAZI Republic Party (MRP) president Mqondisi Moyo has hit back at "clumsy and childish" MDC Alliance leader Nelson Chamisa, after the latter last week accused secessionist party activists of protesting over election of Shona-speaking councillors in the predominantly-Ndebele Bulawayo City Council. 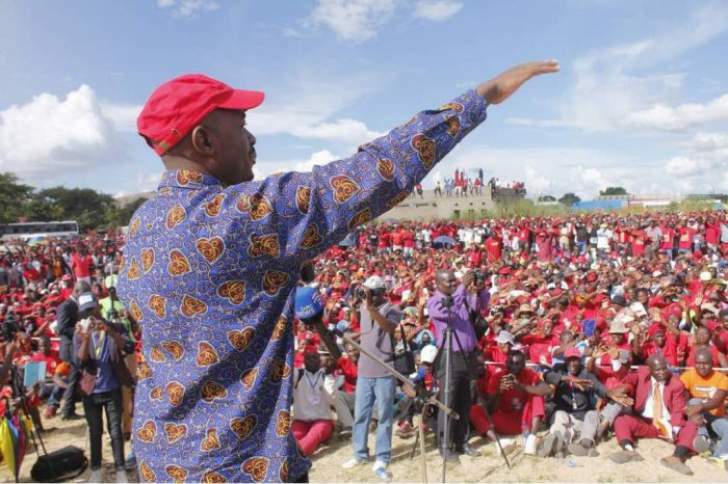 Moyo said it was a blessing in disguise that Chamisa lost the presidential race as the youthful opposition allegedly lacked political maturity and appeared to have low regard for people from Matabeleland and Bulawayo in particular. "Chamisa's statement to the residents of Bulawayo is very unfortunate. He has confirmed himself as a clumsy politician and not a leader. It is surely a blessing in disguise that he is not a president of this country," Moyo said. "With his level of childishness, he would have turned this country into a political circus. He perceives the residents of Bulawayo as having some cognitive or physical inadequacy and as incomplete human beings. This is a repeat of the moment of madness that led to a genocide. This is insult to the residents of this great city." Chamisa last week chided Bulawayo residents for allegedly lampooning at ward 24 councillor Arnold Batirai who took oath of office in Shona instead of Ndebele or English. "It is a pity that people want to introduce tribe on account of trying to cure their inadequacies or their incompleteness, but their people have spoken. The people didn't vote for a tribe, but for representatives who are Zimbabweans, who are residents of Bulawayo to represent them," Chamisa said. Moyo said though tribalism should not be tolerated, Chamisa's choice of words were at variance with a mature leader. "Honestly he is showing no regard to the people of Bulawayo who voted him. Chamisa owes gratitude to the people of Bulawayo because in the process of voting him personally, with the hope of removing Zanu-PF, his party managed to secure council seats in Bulawayo," he said. "It is sad to hear Chamisa referring to Bulawayo residents as 'their people', and we wonder, whose people? Chamisa insinuates that Bulawayo residents are not part of his people and that he identifies exclusively with those councillors that the residents have issues with. This young man must rein in his tongue and stop insulting the residents of Bulawayo. Bulawayo people don't forget, his words will come to haunt him," Moyo said. He accused Chamisa and his party of imposing candidates for both mayoral and parliamentary elections.